What will it feel like on the day you quit smoking? This fictional account shows what you may go through on your quit day. You open your eyes and instantly feel a pit in your stomach. Today is the day you are supposed to quit smoking. You promised yourself that you would finally end the madness of nicotine addiction once and for all and it's not ever going to happen if you don't get started. You may already be days past when you promised yourself you would quit smoking, such as on your birthday. The problem is, you're not sure you're ready. You absolutely want to quit and know you need to quit, but maybe it would be better to wait until this coming weekend, instead of trying to quit on a workday. How are you going to get moving and function without that first cup of coffee and the cigarette that goes so well with it? But you know you are just trying to back out again. You resolve to hold fast to your plan. Today is the day. This addiction is a ball and chain that won't let go until you take a stand and make it happen. The coffee is started, and already you're craving a smoke. You haven't been up for 15 minutes, and your insides are in a knot. How are you ever going to do this if you can't make it a few minutes without feeling like garbage? How can you hope to quit smoking permanently if you can't make it through one hour, let alone one day? You think about what a friend told you about dealing with the early days of smoking cessation, "Keep your mind firmly planted in the here and now. Focus on this minute. Don't worry about tomorrow or even later today—just deal with right now. Nicotine withdrawal isn't comfortable, but it does get better, and it's easier if you stay in the present." You take several deep breaths. While the coffee is brewing, you head for the shower, which does help beat back the urge to smoke. Afterward, you put on your first nicotine patch and get dressed. The skin under the patch is a little itchy, but it only lasts a few minutes. You pour a cup of coffee and pack your lunch for work. You're moving, but feel like it's in slow motion. You know the patch is kicking in because that clenched feeling in your belly is easing up. Your mind is still stuck on smoking thoughts though, like a broken record., "I need a cigarette, I need a cigarette, I need a cigarette." You wish you hadn't flushed the rest of that pack down the toilet last night. You were so excited and confident then. Good thing you did toss them because you'd be lighting up right now if you had a cigarette within reach. You fix a slice of toast and drink down a glass of orange juice. Breakfast is usually just coffee and cigarettes, so this is a real departure from your normal routine. Surprisingly, it helps you feel a little better, and you head out the door to start your day. No sooner do you turn the key in the car's ignition than a little voice in the back of your mind quietly suggests you drive directly to the convenience store for a pack of smokes. You try to ignore your thoughts and take a different route to work. You notice every single store that sells cigarettes along the way but you manage to drive by them all, going to your destination without stopping. It's barely 9 a.m. and you're already feeling exhausted. Thankfully, work is not a place where you smoke much, so while you're feeling a little jumpy and out of sorts, you're able to settle in and get busy. You are proud to have made it this far. "Time for lunch and a smoke." Immediately after this thought surfaces, your heart sinks. You can't smoke at lunch today. You feel a flash of anger, again wishing you'd delayed your quit date for a few days. The mental negotiation has begun again, but instead of letting it take hold, you grab your coat and head out for lunch with your co-workers, something you usually avoid because you don't smoke in front of them. Lunch wasn't too bad. Your nerves felt a little raw, but knowing you couldn't smoke in that setting actually helped, and you feel another surge of pride. You're doing this. Half of the first day is done. The rest of the afternoon goes by without much trouble. Junkie thoughts pop up frequently, but you find that getting up for a glass of water or to stretch your legs helps. That all changes when you get in the car to go home. Almost as soon as you start the engine, the background noise in your mind shifts into a dull roar. "Why did I quit smoking? I love smoking. I can't imagine being happy and fulfilled in my life if I have to face it without cigarettes ever again. This is too hard. I'm going to buy a pack before I get home." Somehow the "you" who knows better than to listen to the mental chatter stays in control and you make it home without caving. You're feeling panicky and miserable, though. The car is a trigger for you. This is not surprising since you smoke while driving all of the time. You walk in the door and immediately boot up the computer or a mobile app to search for cessation help. You find plenty of reading material and spend the rest of the evening researching. It turns out everything you've been experiencing today is normal and part of what everyone goes through when quitting tobacco. You are relieved to know it's not just you being weak. They say it will get better and that a list of reasons to stop smoking is a good place to start your quit program. 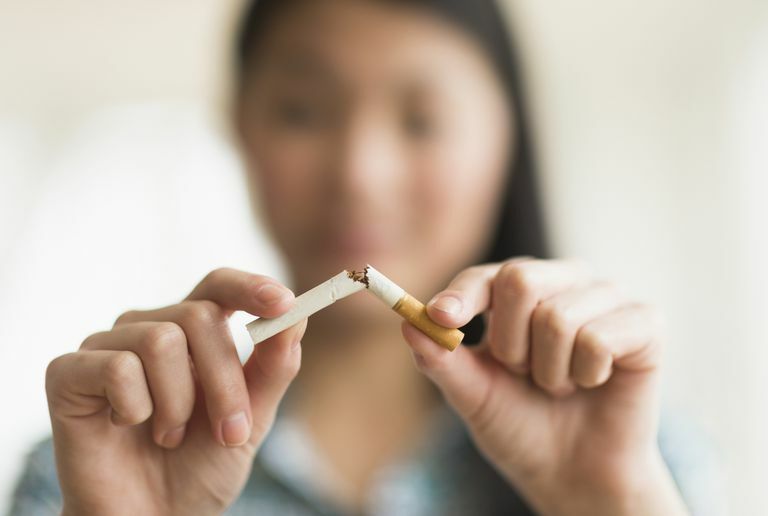 You live in fear of a smoking-related disease catching up with you. You have a bad cough that has become chronic. People know you by your cough. You are short of breath when walking a short distance on level ground. You worry about starting a fire from cigarette embers. You hate the smell and the mess of smoking. You are ashamed of your addiction, and that makes you feel like you have less worth as a person. You hate that you are setting a bad example for your children. You hate that you are paying cigarette companies you are hard-earned money for a product that is designed to kill you. You spend so much time daydreaming about what it would be like to be not only smoke-free but to be able to live your life without even thinking about cigarettes. Between the time you spend smoking and the time you spend thinking about when you're going to smoke next, your whole day revolves around cigarettes. You are living in a self-imposed prison and are so sick of it. Day one is coming to a close and while it wasn't easy, you made it through without lighting up. You're going to repeat what worked today again tomorrow—one hour (or minute, if necessary) at a time. You'll add to your list of reasons and learn more about what to expect in the days and weeks ahead.